Did you know, African-American women are 41% more likely to die from breast cancer? 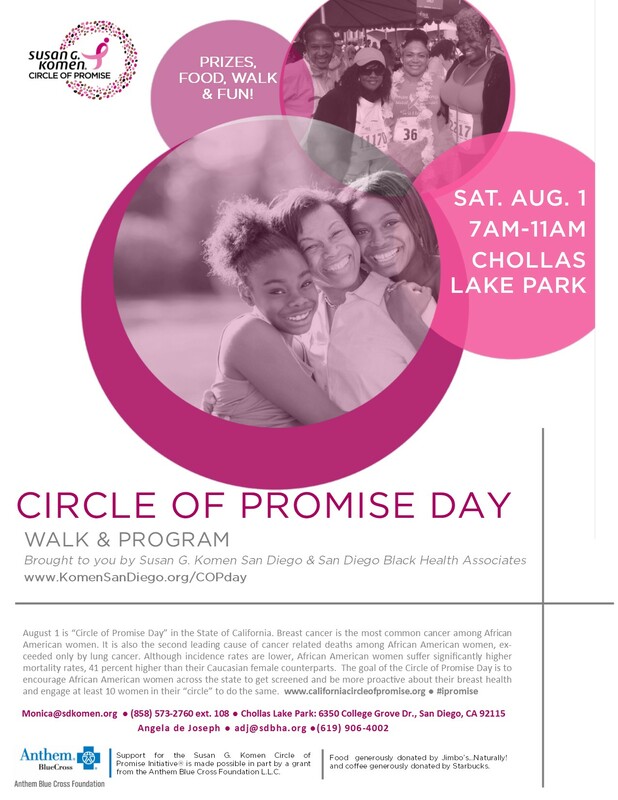 On Saturday, August 1st from 7am-11am Susan G. Komen San Diego is hosting ‘Circle of Promise’ Day to address the disparities among African-American women with breast cancer. This event will feature two community walks around Chollas Lake Park in San Diego to encourage being proactive with our health and wellness. The lake is approximately 0.8 miles and a great way to learn about this important cause while exercising. African-American breast cancer survivors and Councilmember Cole Myrtle will speak at the event. 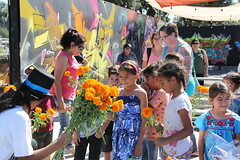 More information can be found on the Circle of Promise event page here.